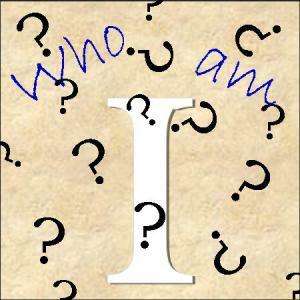 I pray that you have a better understanding of who you are in Christ after my little series. Today I will add some new ones to the list, but I also want to show you ALL of the ones I’ve listed in one place, so we can all see just how Christ’s life, death, and resurrection have benefited us. I am the head and not the tail; I am on top and never at the bottom, if I listen and obey – Deut. 28:13, “If you listen to these commands of the Lord your God that I am giving you today, and if you carefully obey them, the Lord will make you the head and not the tail, and you will always be on top and never at the bottom. There are quite a few more, but this has already gotten long. Most of these came from Joyce Meyer Ministries. Visit here for the complete list. Now the lists from parts one through four. If you’d like to visit the original posts, you can find them here: one, two, three, and four. You are, or can be, and have, or can have, all of these. They are God’s gift to you through Jesus. If you have never accepted Jesus Christ as your Savior, I encourage you to do so. While people, Christians included, will fail you, God never will. Please visit here if you’ve never made that decision. It is ABSOLUTELY life changing. Dear God, I pray for all who’ve read these words of yours. May your words never return void. I pray that we can all receive them and believe them. Help our unbelief. Father, I also pray for the one who reads these words and has never accepted your Son as Lord. Bring healing to their hearts minds, and bodies. Give them wisdom to find a church that can lead them in your Truth. In Jesus precious name, Amen.